There is no doubt that Samsung Galaxy S4 is an impressive smartphone. It is indeed a perfect package with the cutting edge hardware and lots of marvelous features. Samsung Galaxy S4 is the recommended phone for people with the taste of big screens and classical features. 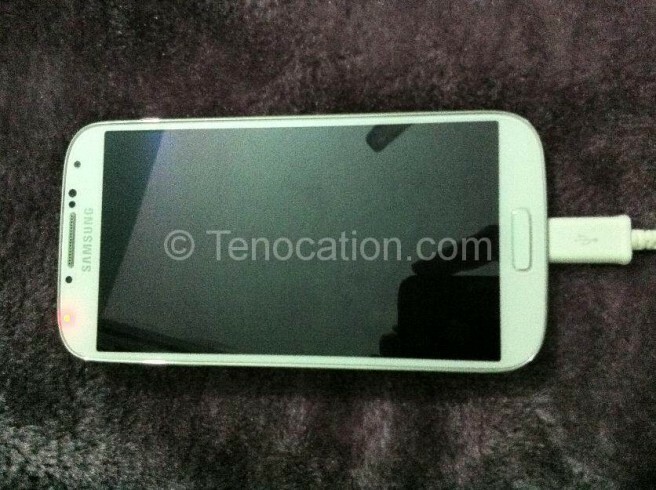 The article on Samsung Galaxy S4 will enable you to understand every feature of this smartphone in detail. If you are thinking about having the flawless experience with the best available smartphones, you might be on the wrong end of the river. Every Smartphone comes coupled with the little glitches, there is no perfect device ever. In this tutorial you will read about Samsung Galaxy S4 charging problems and most importantly the solution of these problems. These bunches of words will surely soothe your pain by recommending the best workarounds available. Most of people have concerns about battery drainage, they use to think that there is some problem with their battery, and it drains faster than usual. There is no problem with the battery, it entirely depends on how you use it. The heat and the battery have the inverse relation, the more heat lesser will be the battery life. The heavy battery drainage problem is linked with the overheating problems. There are many applications to keep an eye on the battery temperature. Although, heating is the major battery drainage problem, but you can also check what else is causing the battery juice drainage by going to Settings >>More >> Battery. You can make the battery life longer by disabling the unwanted features like, NFC, GPS, Mobile data, Wi-Fi, and the Air view. The proper usage of the Power saving mode is recommended, you can turn that on by quick-setting present in the Notifications bar. The brighter the screen the lesser the battery life. You can adjust the brightness to get the best results. Try to use the plane dark-colored wallpapers. Most of the people don’t know how to react in the situation when they find themself in rush and their Smartphone’s battery just hold the few minutes of power and you have the shorter time span to charge it again before head out. Surely, you can charge the battery well and avoid the hitches. You can boost up the charging by making sure that only the essential applications and the features are running on your device. Therefore, it is recommended to execute all the battery hogs while putting the device on charging. Airplane Mode disables all the wireless features on the Smartphone, like the Wi-Fi, cellular, GPS, Bluetooth and all the location services. Therefore, it is the worthy Mode to implement while charging in urgency. This will surely turn the charging faster. You can switch the Airplane Mode by just dragging down the Notification bar and tap the Airplane Mode there. Remember, the text messages and also the phones call will not work in this Mode. Therefore, it is recommended to charge the Smartphone in the Normal Mode while expecting something important. If you are expecting the faster charging, the charging by the Laptop is not the good idea. Laptop’s USB port provides lesser power than the wall charger. Therefore, the wall chargers are way battery then Laptop to get the faster charging. If all the tips mentioned above are not enough, then you can try another useful trick which involves lower the screen brightness while charging. Brighter screen brightness is like the double-edged sword for the battery. The devices do not use any power while turned off. Therefore, it is a good idea to put the device off while charging. I have a Galaxy Samsung S4 when I connect the mhl lead to the hdmi television Port I get a great picture but a heavy battery drain, while viewing, the usb charger that is connected to is not powerful enough to keep up with it do you recommend a really good charger to compensate this. Many thanks. True yes your right mine don’t charge at all……..
by turning off your phone will help save your battery my phone overheats alot so the best best thing to keep it from draining the battery is to turn the device off and use the proper charger to matain a good battery life.